The season has changed. The morning was crisp and bright and I was out early to navigate a long cycling day with many hills, constant headwinds, and a lost hour as I moved back into Eastern Time. The first two thirds of the ride was beautiful, though I never seemed to be out of earshot of mowers. 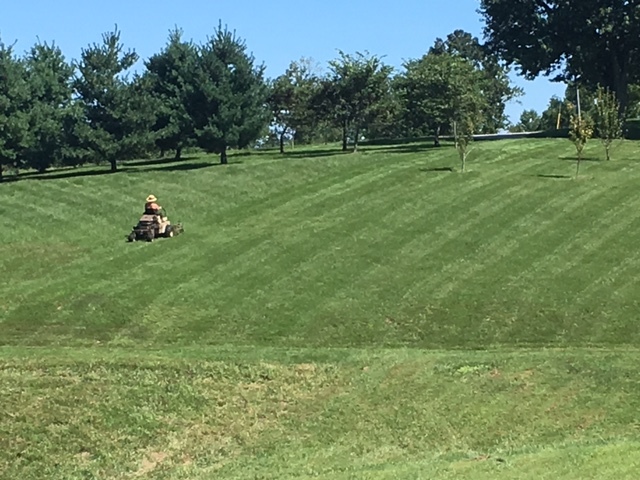 The grass in Kentucky is truly lush, the lawns are huge, and people obviously love taking care of their green expanses. 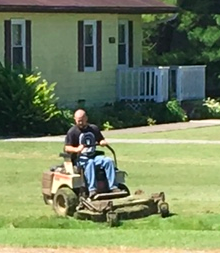 Everyone has a riding mower and trimmer. After Shepherdsville the ride took an unpleasant turn. 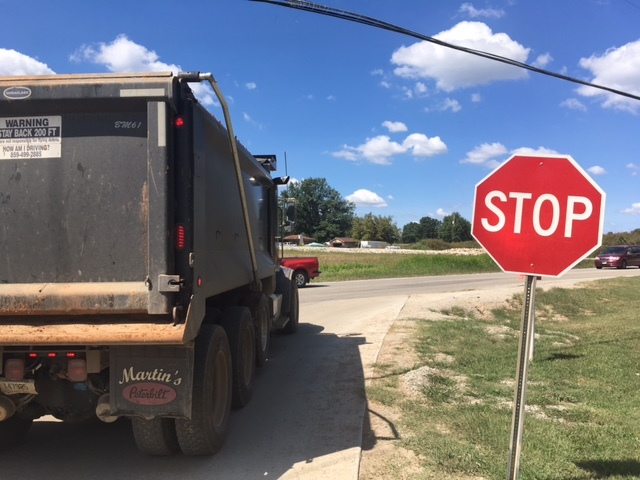 Five miles of road construction followed by more miles of what I call ‘big box highway.’ Louisville spreads far to the east. My niece’s house, though in Louisville, is fifteen miles from center city. There was nothing to do but grind out the miles. It was all worth it when I got to Tatiana’s house and met my grand nieces Sarah and Anna for the first time.